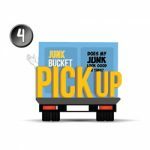 Getting rid of junk, clutter, construction debris, old furniture or yard debris has never been as easy, affordable and fun as it is now with The Junk Bucket. 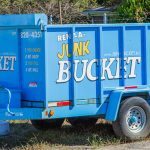 The Junk Bucket Dumpster has taken Brandon, FL by storm. The people of Brandon are simply falling in love with our amazingly beautiful, sleek, baby blue dumpsters. Why are the residents and business owners of Brandon falling in love with Junk Bucket Dumpsters? Simple. 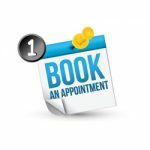 They are affordable, easy to load, our customer services is top notch and most of all, it makes your neighbors jealous. Nothing screams ‘I am the coolest cat in the neighborhood’ like having a Junk Bucket on your driveway while you’re doing some good old fashion spring cleaning. 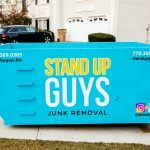 Another reason why the Junk Bucket is taking Brandon by storm is the simple fact that you can use it to pretty much get rid of anything. When I say anything, I mean it! 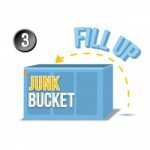 You can clean out your entire garage, attic or storage unit and toss everything in your Junk Bucket. Or you can even clean up the yard and toss all the yard debris in there. OR you can even do some home improvements and toss all the remodeling and construction debris in there. You name it and you can toss it away with a Junk Bucket Dumpster! 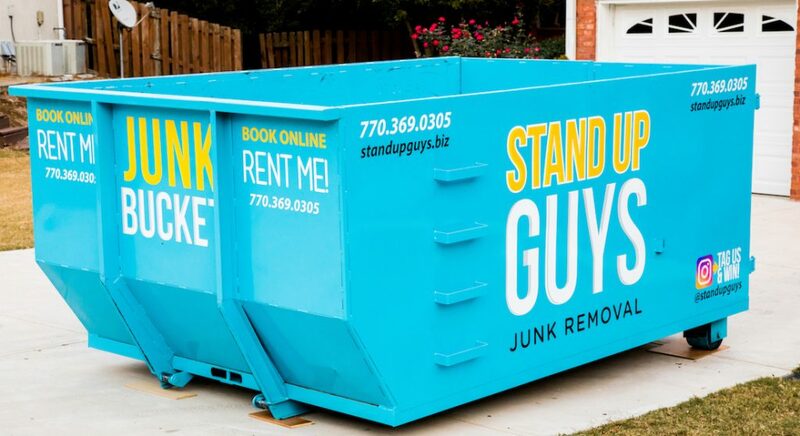 Now that you have read up on the Junk Bucket Dumpster and realized that it is perfect for you. Now it’s time to get one for yourself. 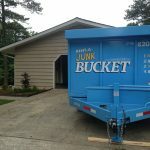 I have good news too, the process of renting, filling up and hauling away a Junk Bucket is so simple anyone could do it! 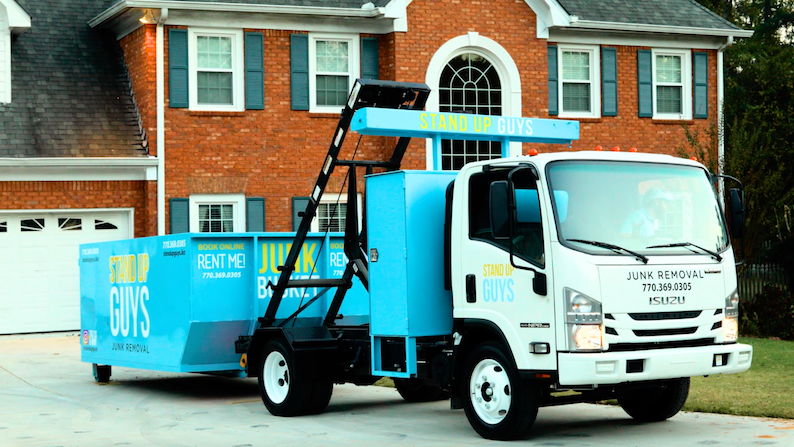 Once you have decided that you are ready to clean out some junk and get yourself a Junk Bucket Dumpster, simply pick up the phone and give us a ring at 813-512-0480. 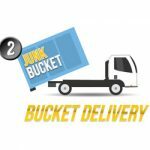 Let us know when and where you want the Bucket and we’ll have it there for you. No questions asked. Once the Bucket is dropped, it’s time to get to work. Strap up your shoes, tighten the belt and get to huffin’ and puffin’. Once all the junk is gone and loaded into the Bucket. Let us know and we’ll be out right away to haul off the Junk Bucket and dispose of all your junk responsibly.